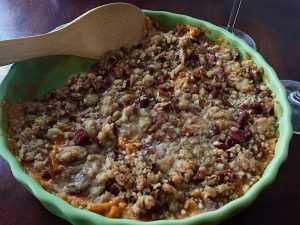 While this dish is super easy to make, many people only serve it around the holidays. That is a tradition that should change! 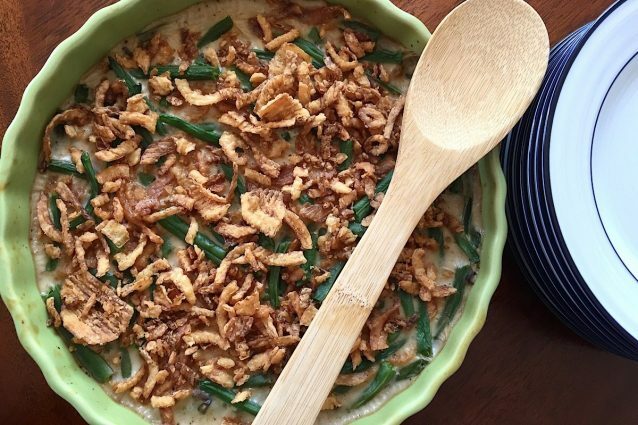 This green bean casserole recipe is so delicious that it completely deserves to be eaten year round. While this specific recipe utilizes fresh green beans, there are also some tips and tricks you can take a look at that enables you to use canned green beans- even more reason to make this recipe all the time. This green bean casserole is made in only 2 pans and with very few ingredients so get out your casserole dish and get cooking! To make the homemade green beans, begin by cleaning the fresh green bean. Cut off the tips of both ends of the bean and rinse the beans in cold water and then cut into 1-2 inch pieces. Place the cut green beans into a medium sized pot with about 1/2 cup of water. Cover the green beans and steam over medium heat for about 6-8 minutes. The green beans should be soft and bright green. Strain the remaining water out of the green beans and set aside to cool. In a large casserole dish. whisk together the cream of mushroom soup, whole milk, soy sauce and pepper. Add the green beans to the casserole dish and mix them into the sauce. Stir about 1/2 cup of the fried onions into the casserole and bake in a 350 ̊F oven for 20 minutes. Remove the casserole from the oven and sprinkle the remaining 1/2 cup of friend onions on top of the dish. Return the casserole to the oven for another 5 minutes in order to brown the onions. Serve the casserole while hot! -If you would prefer to use canned green beans for this recipe, that will work as well! Use two 16oz cans of cooked, cut green beans as a substitute for the 4 cups of fresh green beans. Drain liquid from the can and then begin at step two of the recipe! 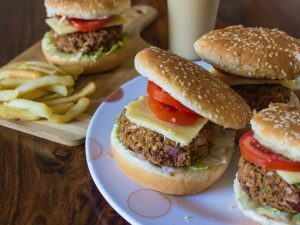 -If you would like to make your own fried onions for this recipe, that’s a great way to make it even more fancy! Thinly slice two onions and then toss with 1/4 cup flour and 1/4 cup panko bread crumbs. Place the coated onions on a sheet tray lined with foil and spray them with olive oil cooking spray. Bake in a 450 ̊F oven for about 20 minutes or until they are nice and crispy. Use your homemade fried onions for your casserole! -If you had to buy a big bag of fried onions and only used a tiny portion of them for this recipe (perhaps French's Fried onions- those are the standard for green bean casserole! ), seal the bag and use them by the ‘best buy' date that is listed on the bag. 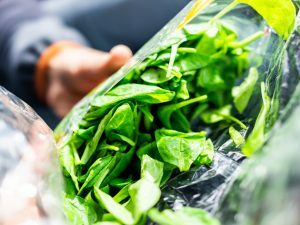 Opening the bag will not affect the onions quality and the ‘best by' date is still what to use to judge their freshness.